Not all is happy in TV Land. Or MTV, CMT, or VH1—all channels owned by the behemoth media company Viacom, and all companies that have been affected by big layoffs coming down late last week and stretching into this week as part of a massive corporate restructuring. Though the dust has yet to settle, the layoffs and restructuring could see big changes on country music’s biggest television outlet, and throughout Viacom’s once music-centric cable properties. 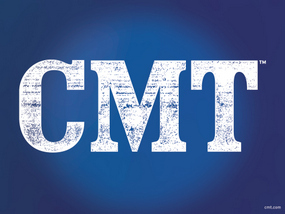 On Friday (March 6th), members of CMT’s New York-based talent and development staff were unceremoniously let go as part of the restructuring. New York is also where a reported 12% of MTV’s staff was handed pink slips, including much of the staff working on reality TV projects. It is all part of a process to combine many Viacom properties from three domestic network groups into two network organizations. But what is interesting about CMT’s role in the reshuffling is that the once country music-centric channel is being shifted into Viacom’s “Kids & Family Group” along with Nickelodeon and TV Land. We’ll have to see. Part of the reason for the restructuring is so that different cable channels can share staff within the two new network organizations. The moves come as many of Viacom’s cable properties have been losing money. Net earnings dropped 9% for the company in the last quarter, while revenue was down 6%. For TV Land it’s even worse, with losses reported around 24%. Many top executives across Viacom properties have been let go as part of the restructuring, while slumping stock prices have been rebounding on the cost-saving news. Like so many Viacom-owned properties, CMT started as a music-based model showing videos and other country music television programming before following MTV’s lead and becoming nearly all about reality TV shows. Franchises like CMT’s “Redneck” series of shows and Party Down South have drawn strong criticism from viewers who once saw the channel as a family friendly option, and who see the new programming as exploitative of rural residents. I don’t know exactly how the whole cable thing works, but losing a couple million viewers due to Viacom charging local cable companies outrageous fees had to hurt their bottom line. I have Suddenlink and Viacom played chicken during the last negotiations and was shocked when Suddenlink called their bluff and gave their bandwidth to other networks instead of continuing negotiations. Suddenlink polled customers and looked into who was watching what, and other than Nickelodeon, it wasn’t worth the price they would have had to pass on. At just over a million subscribers and it was something like an additional $3 per household. Suddenlink says that MTV and CMT specifically had had substantial drops in viewers. We already had Zuus Country and GAC so they didn’t bother trying to find a country replacement. The crappy thing is, most in my area also have our cable company as an internet provider, therefore all Viacom websites are also restricted. Especially video content on them. When my son tried to watch Ninja Turtles on Nick.com and a big picture of SpongeBob popped up and said “Tell your parents that you want to watch cartoons, call Suddenlink and complain or switch to Direct TV” it pissed me off and soured my opinion of Viacom permanently. I am elated to hear this wonderful news. It would be even better if they had to file for bankruptcy. It is amazing that TV companies haven’t figured this out yet. They have almost all lost their identity. MTV is reality tv. CMT is rural based (loosely) reality TV. TV Land quit showing the old shows and show pitiful new shows starring washed up actors and actresses. The History Channel is all aliens. Who learns anything from TLC anymore? I still have Dish, mostly because of sports and live events, but I’m thinking about getting rid of TV. The lack of identity isn’t just killing country music, it’s all media. The race to the middle is unrelenting. I’ve cut the cord and have Hulu for $8. Got a digital antenna for the local station (and sports). Have to listen to Royals games, but oh well. That’s just as good. You can now get ESPN on its own for $20 a month. Join us! This is why I hate today’s America. Today’s America is ruining people watching TV. Why America people watching TV only have repeats like SpongeBob SquarePants/reality shows like American Idol/comedies like Two And A Half Men/consumer products like Power Rangers. Why can’t American TV plays anime like Pokemon or music videos like Britney Spears music videos? I want my anime like Yu-Gi-Oh and music videos like Rihanna music videos. Even internet doesn’t help. If only streaming needs to get advertised and merging broadcasts with streaming, that would be great. Just a loosely related follow up. I’m surprised that the liability insurance for these reality shows hasn’t prohibited the production. The precursor to Party Down South, Buckwild, was filmed about 20 miles from me. The amount of destruction, public nuisance, and just general “pain in the assery” that this show caused was insane. Local news was always reporting on the underage drinking, how bars and restaurants were trying to keep the cast out because they were disruptive and loud and neighbors complained about blocked streets, bright production lights at all hours and scripted parties and fights that would be repeated numerous times for different angles. Eventually one ended up dead and several in jail and the show had to be cancelled. After the most recent Party Down South Infomercial (AKA the CMT Awards) which memorably opened with Luke Bryan, FGL, and Jason Derulo twerking in unison to “Talk Dirty to Me,” I vowed to boycott all Viacom programming, and I have stuck with it. Anyway, in my mind, Party Down South has been a failure as a cultural phenomenon. I don’t hear people talk about it the way they did Jersey Shore, even in a joking or complaining manner. No one seems to care about it. Cable TV (and sat TV) is a dinosaur. People want content on demand at anytime on any device and they want it a la carte. I’m looking forward to the day when I can pay for and watch pro sports broadcasts on a per game basis. Darn I want the old CMT back and please bring back GAC back to country music format. I hate changes. As an avid non-TV watcher, it would thrill me if the entire thing just went away. Most Americans spend way too much time watching TV and not nearly enough time listening to music or (especially) reading books. Think about how much time the average person has their TV on. It’s sad. I can guarantee you that TV is not being replaced by books. It’s being replaced by Internet videos. Yes it’s true. But internet is having a tough time saving America these days. I mean, why America don’t pay attention to the internet. Internet could’ve done better if internet can merge with broadcasts so we can watch broadcasts over the internet. Changes are ruining America and never stops. YES! There was a time when CMT was a welcome guest in our home but that VIACOM company has turned it into another MTV or VH1 and we don’t want that in our home. So we just watch Zuus Country and get everything we want 24/7. If more TV was like Zuus Country all those poor people would not be losing their jobs at that big place in New York. America is not going to pay for garbage any more. It just occurred to me: how many of us actually have CMT Pure Country and actively watch it? and in response to Eric: I’ve been getting into books but I’ve been more of an audiobook guy because I can pay attention to those more than an actual book. If CMT was to ever get back to it’s roots, I’d love for them to bring back Pure Vintage as a series and not in between Luke Bryan and Florida Georgia Line songs. I watch GAC’s Time Capsule, but lately, even that has been ditching Alan Jackson songs for 2009 Jason Aldean songs. First of all I hate Viacom because they killed CMT plus I don’t watch MTV and VH-1 but Viacom killed that too. I haven’t watch the latter 2 since 1985, but I heard about or in the TV guide. I used to watch CMT all the time from 1988-1999 until they change it to GAC but when we got CMT back on the airwaves in Northern California in 2005 it wasn’t the same anymore and I hated it. GAC not country oriented anymore since 2013 at least I got Pure CMT left which plays so called country. I want to watch old country videos back in the late 80’s and 90’s like Alan Jackson, George Strait, and other great artists instead of watching Florida Georgia Line, Jason Aldean, and Sam Hunt’s videos which today’s country they stuff down our throats lately. What CMT needs to do to regain their audience is show more Ron White non comedy specials where every third word is bleeped. And please more Larry the Cable Thief doing jokes he just read in the Reader’s Digest. Now that is quality entertainment!